For anyone who’s following this website, I’m still alive and very much focused on the RV. It’s just that any spare time I have (which isn’t much) is going toward working on the airplane and not toward website updates. 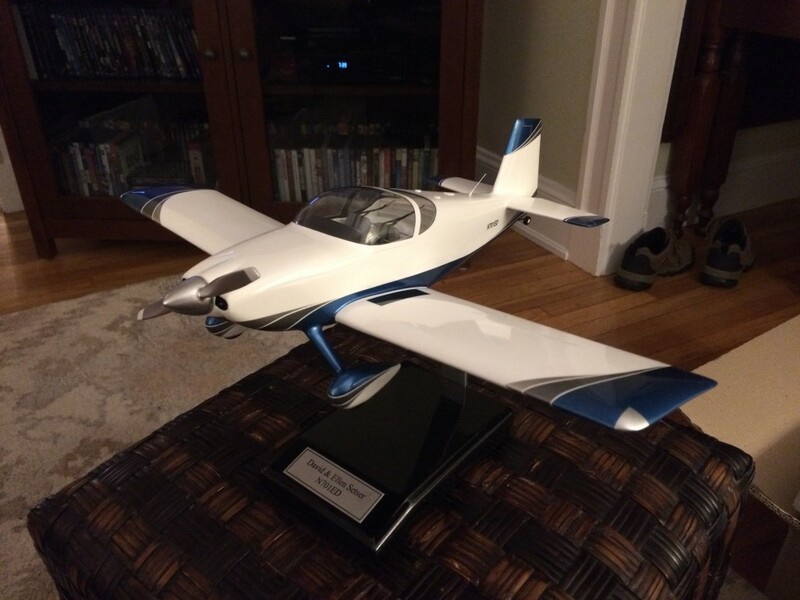 But just so I have something to prove to the FAA that I really am building this airplane, I’m diverting some precious building time to some updates. 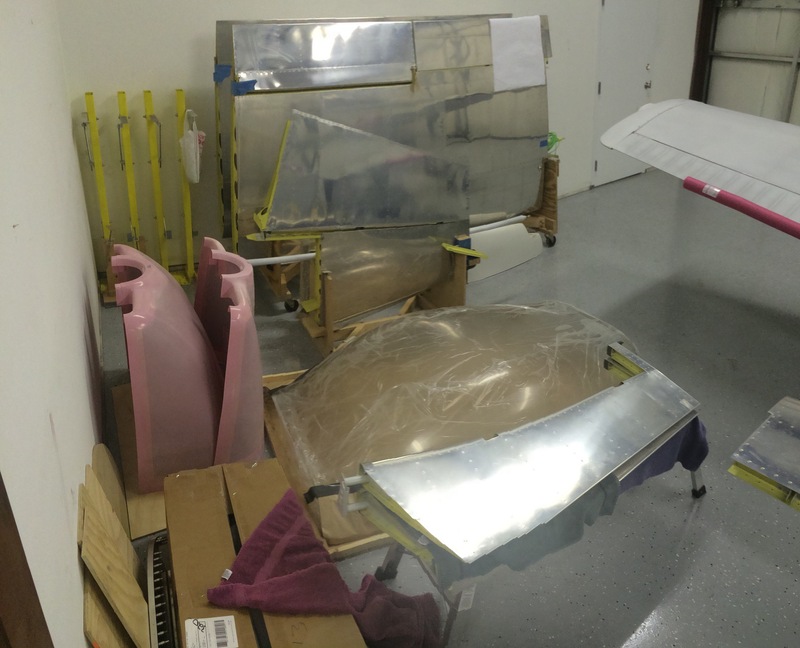 Back when we put all the small fuselage pieces together into one big pice, I built a spiffy rolling stand to hold the fuselage so I could be moved easily around our small garage. It was adapted from plans provided by Lars Pedersen on VAF. 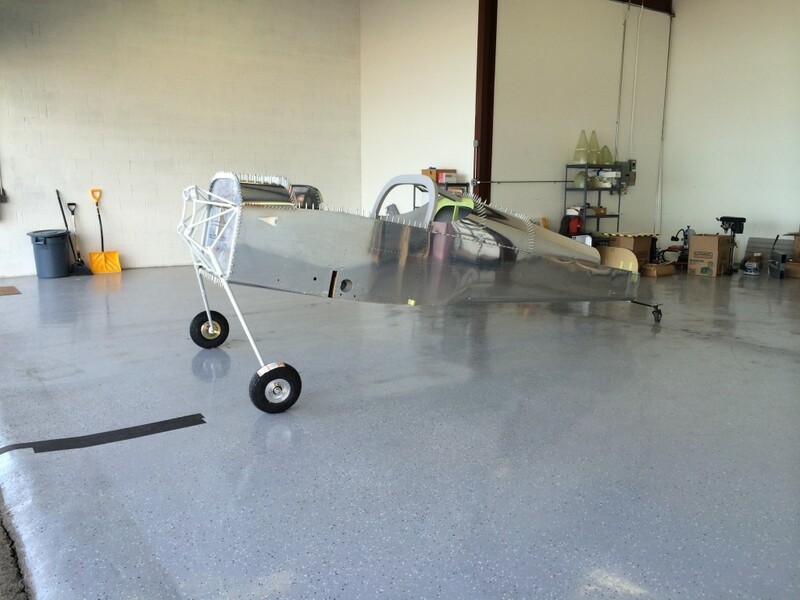 It served its purpose well, and we’ve used it as we attached wings and tail, fitted the canopy, and prepped the interior and firewall. But now that the landing gear is on the fuselage (hopefully) for good, it’s time to pass the stand to someone else who can put it to good use. 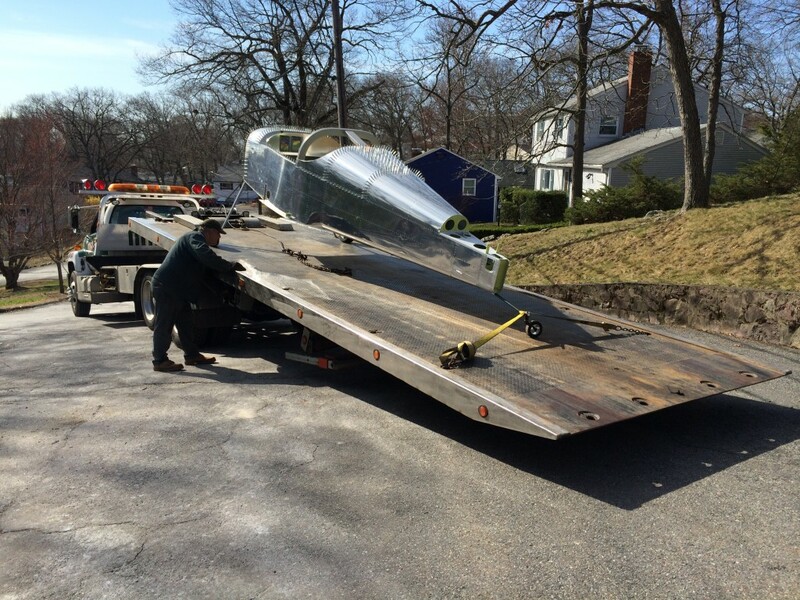 It’ll definitely fit an RV-6, -7, -8 or -9 fuselage, and maybe a -10 as well but I haven’t measured it to be sure. 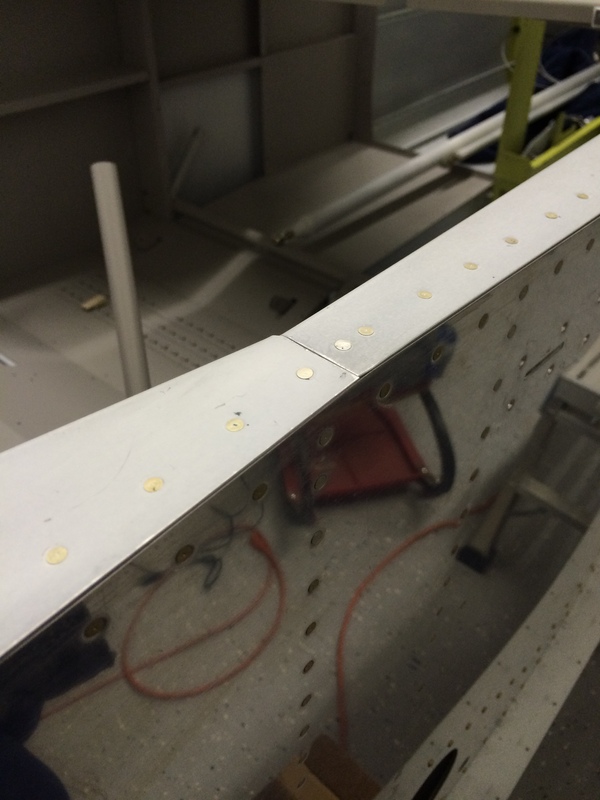 I’ve added some little jackscrew thingies on each corner to make it easier to level the fuselage when/if needed. It’s free to anyone who will come to the Nashua NH airport and pick it up. All I ask is your promise that you’ll put it to good use on your RV project, and that you’ll pass it on to another builder when you’re done. If you’re interested, use the “leave a reply” link on this post to send me a message and I’ll get in touch with you. Today was a great day, for many reasons. 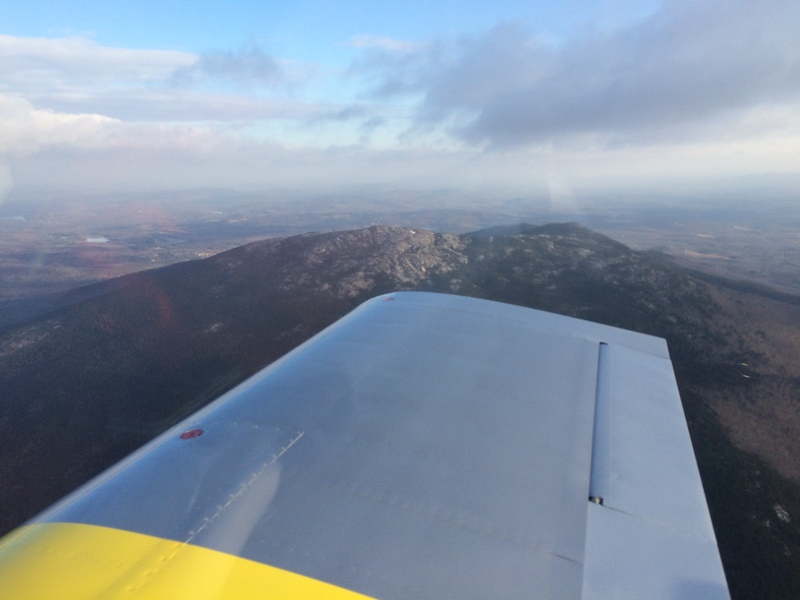 First, I was invited on a dawn patrol breakfast flight with Bob DiMeo, my EAA Technical Counselor, and a group of pilots from eastern/central Massachusetts and New Hampshire. 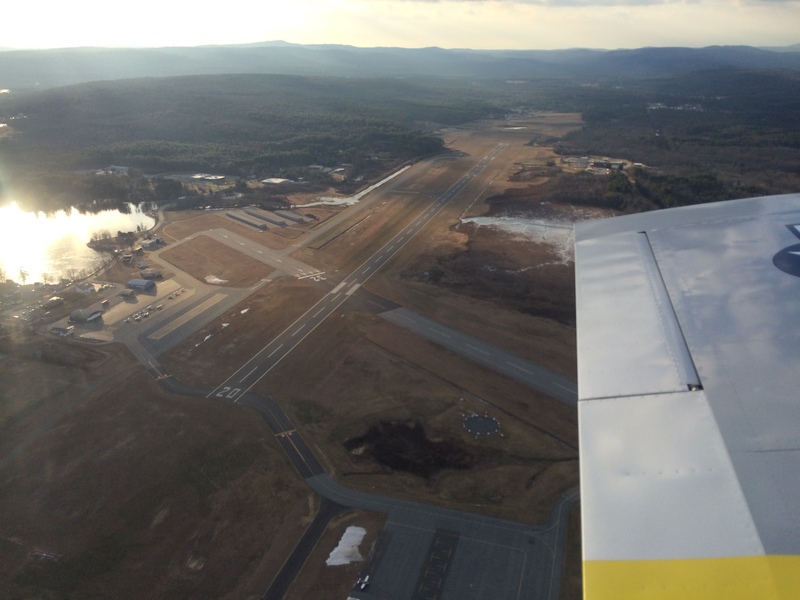 The Dawn Patrol was heading to Keene, NH (KEEN) to a little diner right outside the airport. 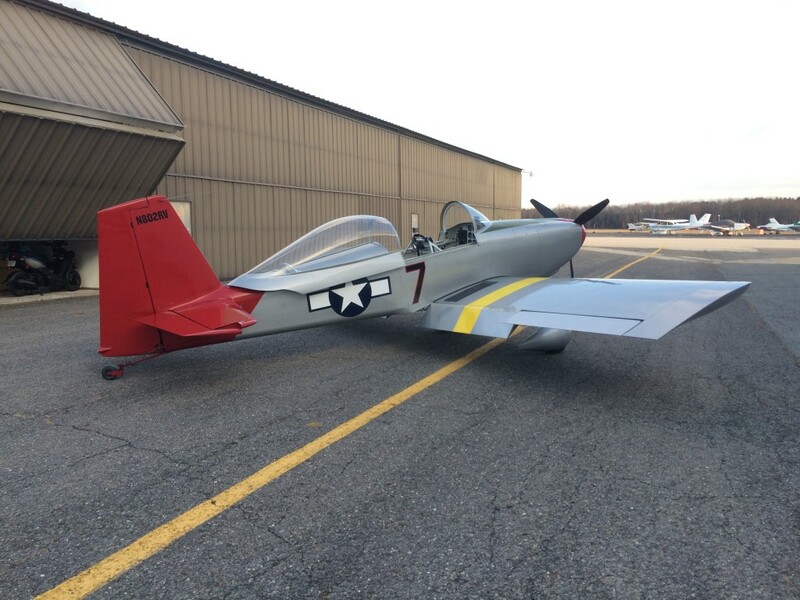 Bob has a beautiful RV-8 painted in Tuskeegee Airmen colors. 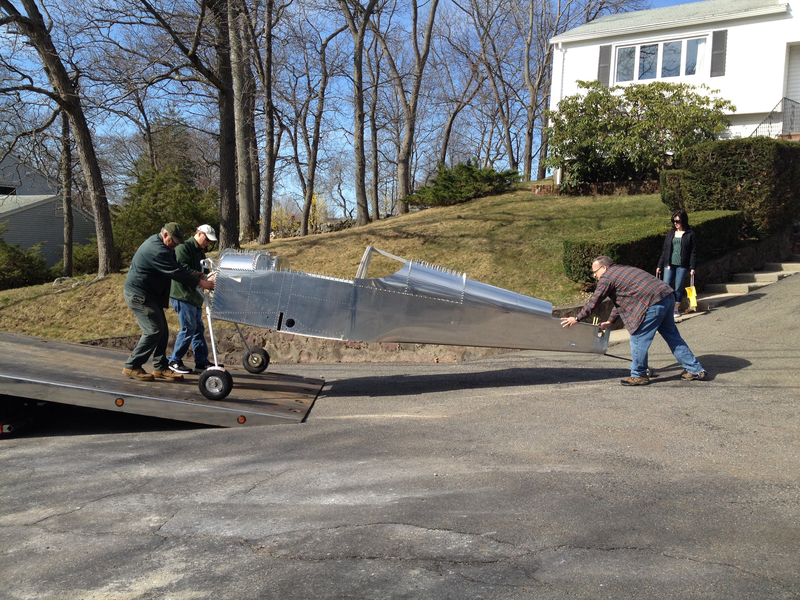 …but fortunately the RV-8 is pretty maneuverable. The weather at KEEN was good but deteriorating…there were snow showers moving in from the southwest. The ceiling had come down a bit by the time we left, but we had no problems getting some. 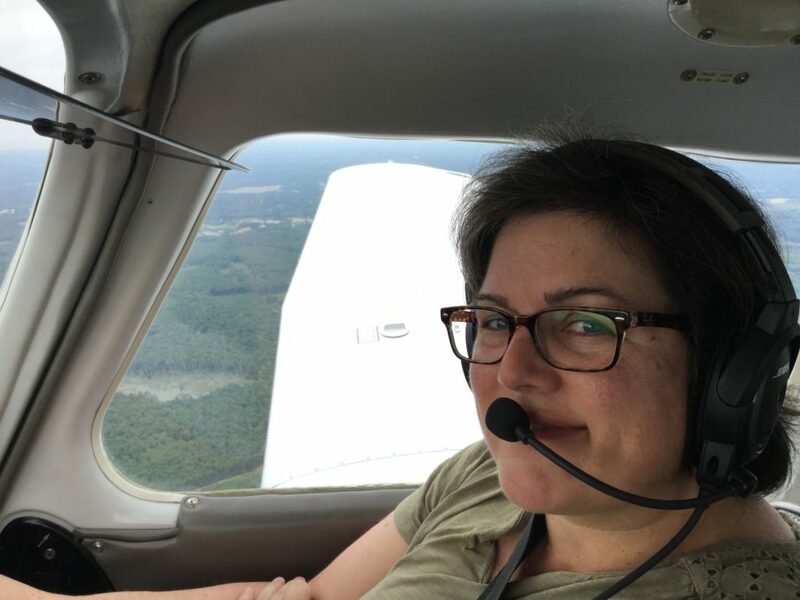 All in all, a great flight and I got to log some back-seat stick time in Bob’s RV-8. 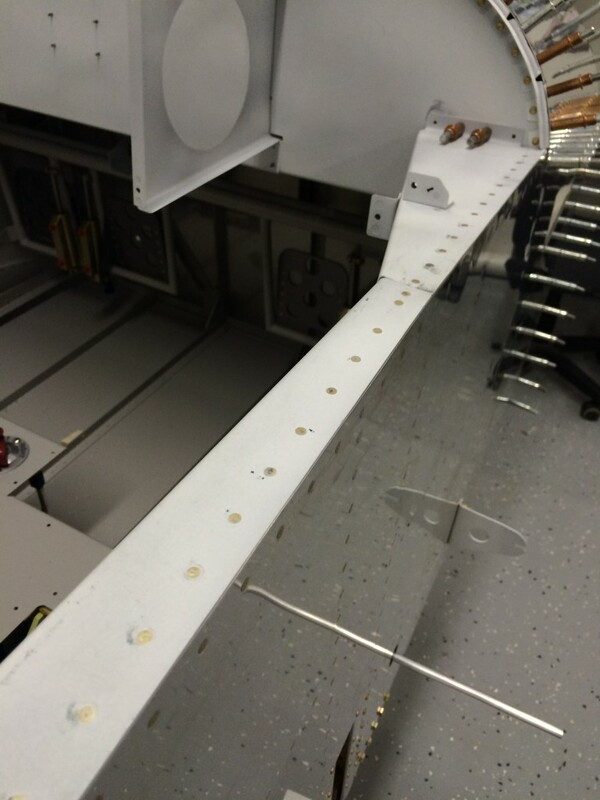 …while Bob managed the back-rivet set on the outside. 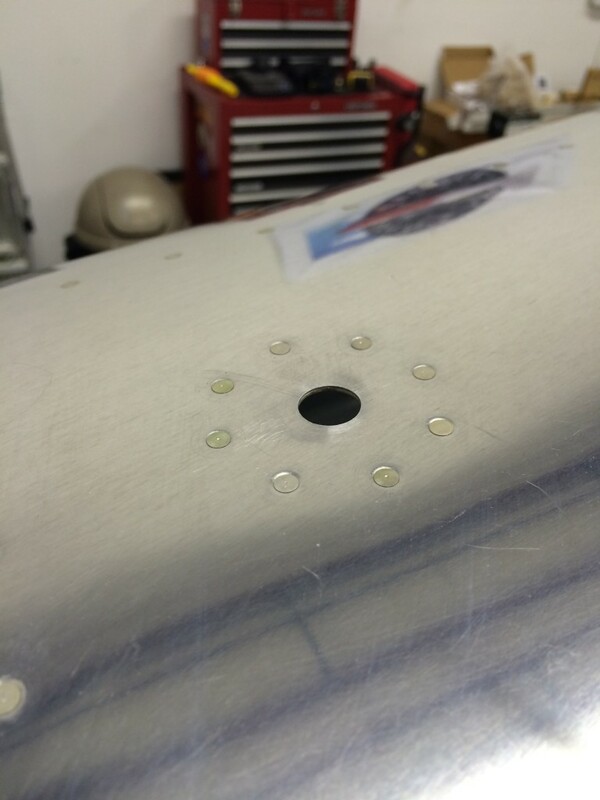 Then we moved onto riveting two heavy angles to the rear cockpit bulkhead. I didn’t get any pictures of those parts, so you’ll just have to imagine us working on them. These rivets weren’t particularly hard to set, but there were a few that took a little extra time and the use of a very narrow bucking bar. 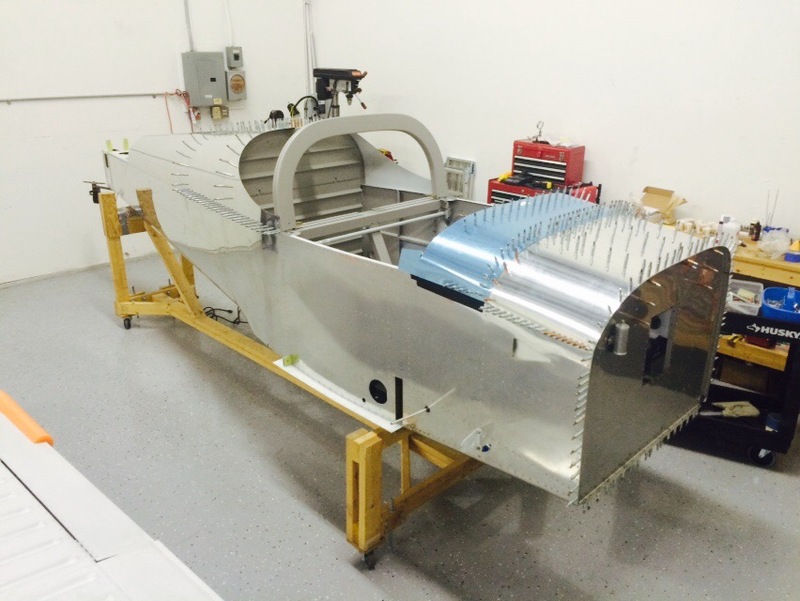 But in the end, the side rails look good on the fuselage. The seam between the forward and center rails came out well, which means that all the work I did bending the longerons really paid off. 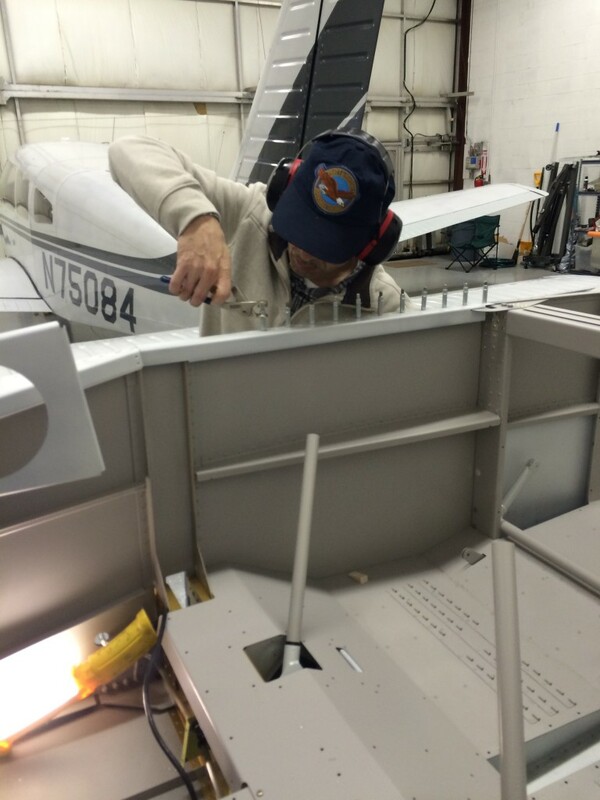 So…between flying, breakfast and good progress on the fuselage, it was a great RV day! Santa, a.k.a. 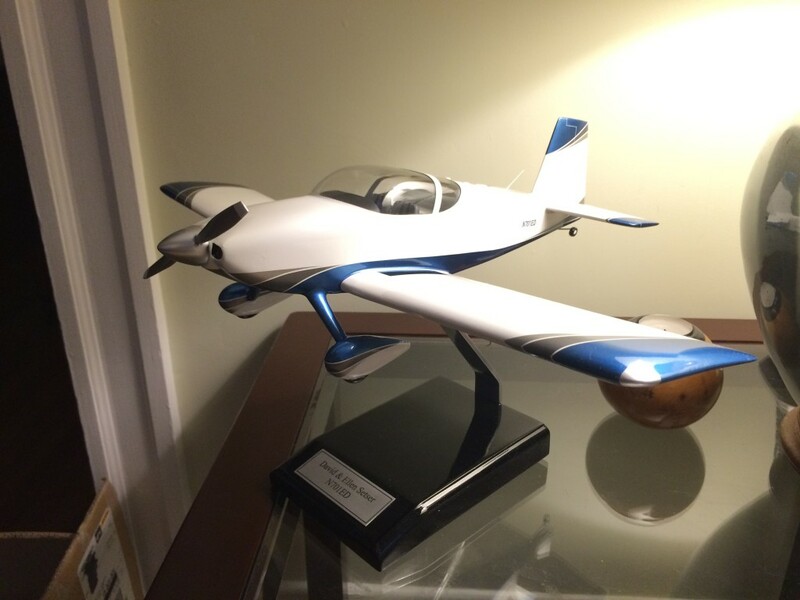 my wonderful wife Ellen, really surprised me with this awesome gift…it’s a custom-built model of our RV7-to-be with the paint scheme we designed with Jonathan McCormick of Plane Schemers. Turns out that Ellen has been conspiring to do this since July, and even went back to Jonathan to get the exact colors he used in the paint scheme! 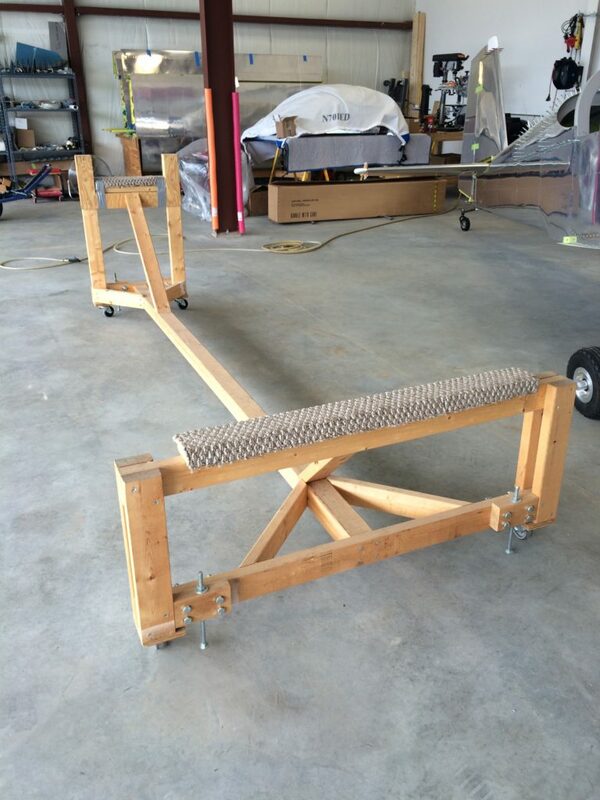 My good friend Pat asked for some “big picture” pictures of the project. Here they are, Pat! Today was the last day in our home – we’re selling it to move on to better things. 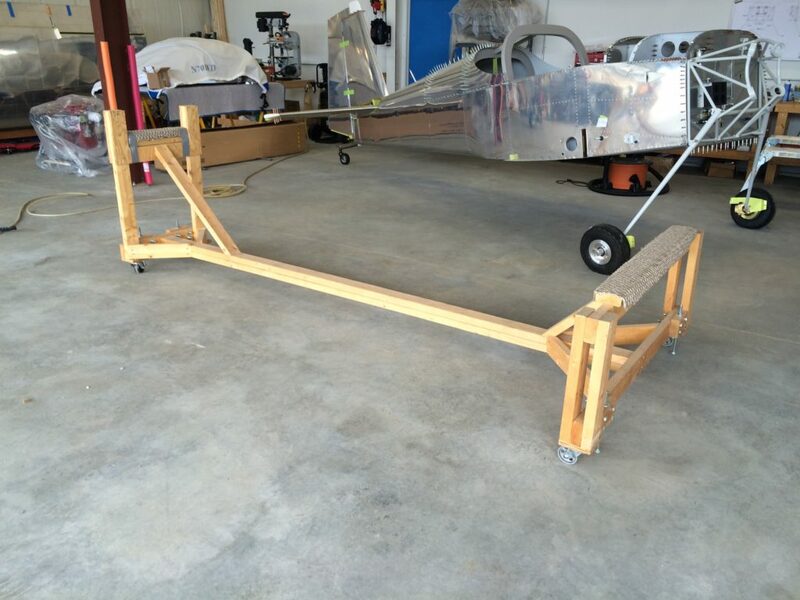 I spent several hours cleaning out the last remnants of my airplane-building shop, and building a handrail for the stairs that the new owners insisted on. 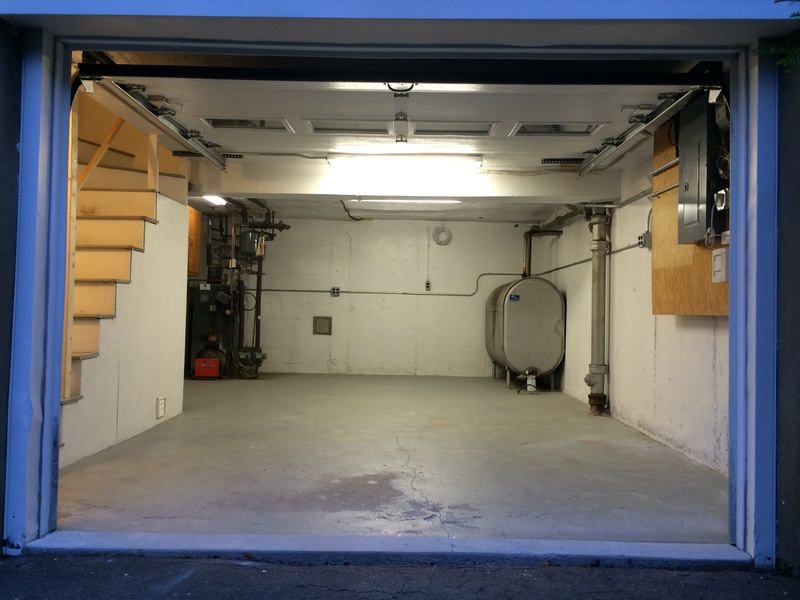 The garage is bare. We did a lot of good RV building here, and I’m a little sad to leave it behind. 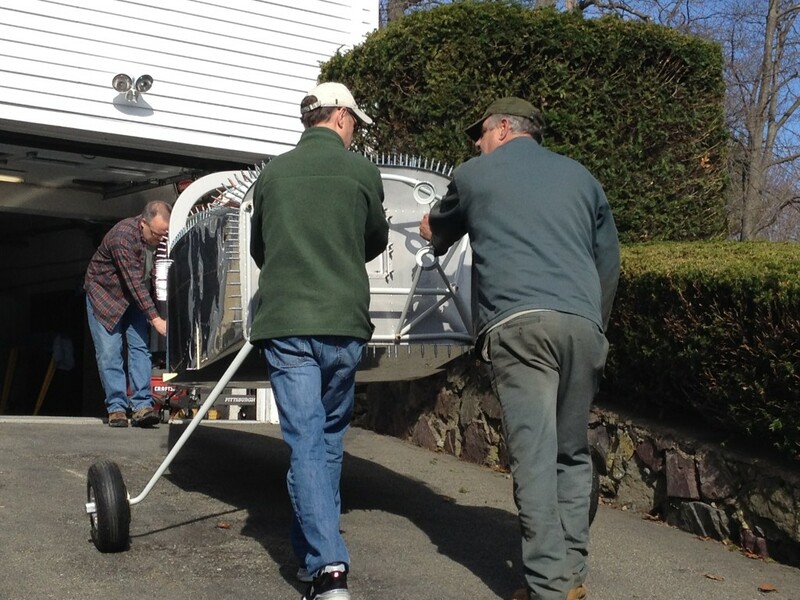 We’ve been struggling to get the house packed and one of the big items to move to Nashua was the fuselage. Ellen and I bribed my brother-in-law Jon and his girlfriend Stefanie to help us get the fuse out of the shop. 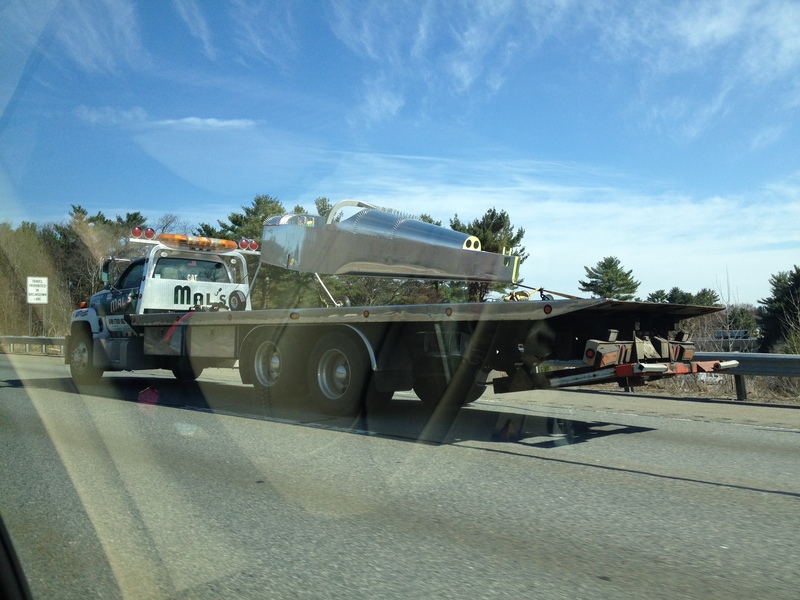 I had been braining out a good way to transport the fuse up to Nashua. Some builders use a large U-Haul truck, but they’re expensive and typically don’t have a ramp that’s wide enough for the RV’s gear. 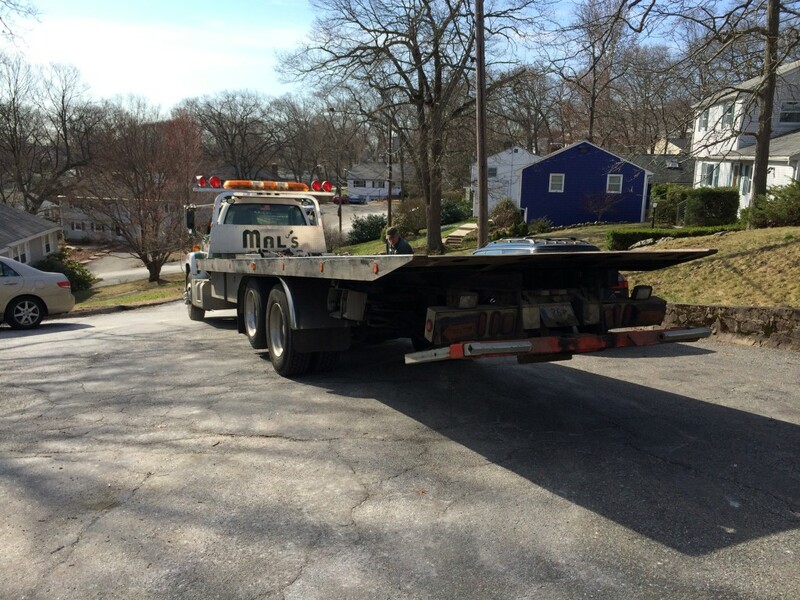 On a whim I called Mal’s, a local car towing company and asked what they’d charge for a flatbed car tow/transporter truck. Turns out it wasn’t significantly more expensive than a U-Haul truck, and the entire bed tilts back to make it easy for loading…so I booked Mal’s. Mal’s truck and driver showed up right on time. Our street is slightly narrow and we’re on a cul-de-sac, so the driver had to do some maneuvering to get the truck in place. With the ramp down, loading the fuse was a non-event. I rode in the truck with Steve, and Jon, Ellen and Stefanie followed in a car. 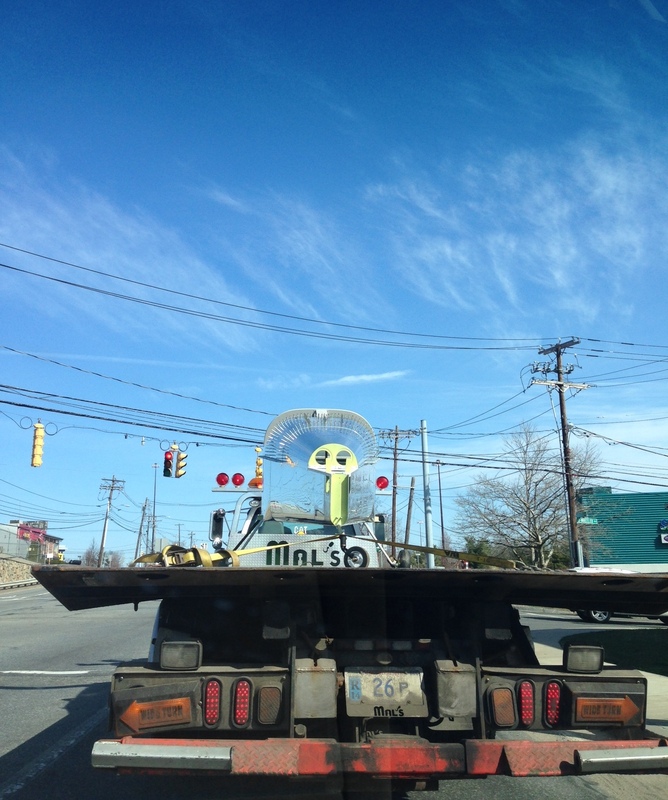 Jon took this picture at a stoplight in Burlington…pretty neat! We got a few looks from other drivers as we trekked up Route 3 to Nashua. I kept a close eye on the fuse, but there was no need to worry – it barely moved an inch. 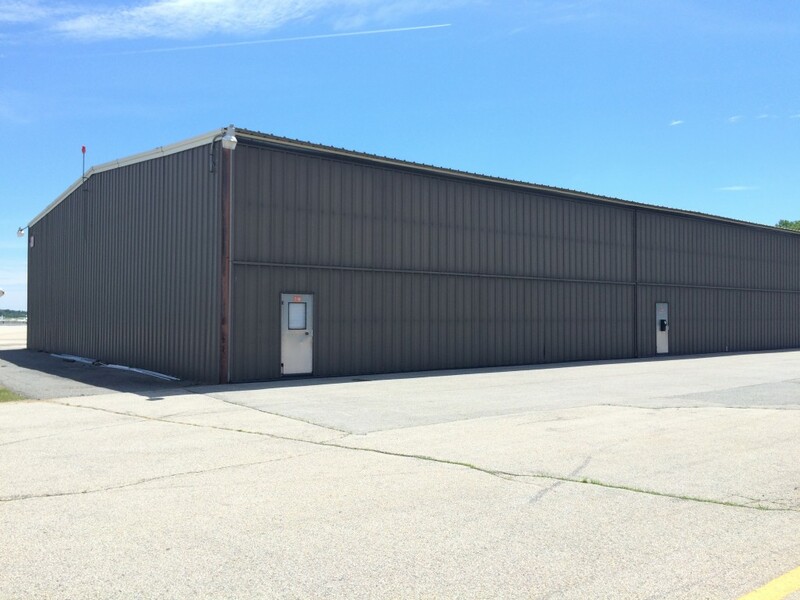 The rear of the hangar will be my primary shop space. 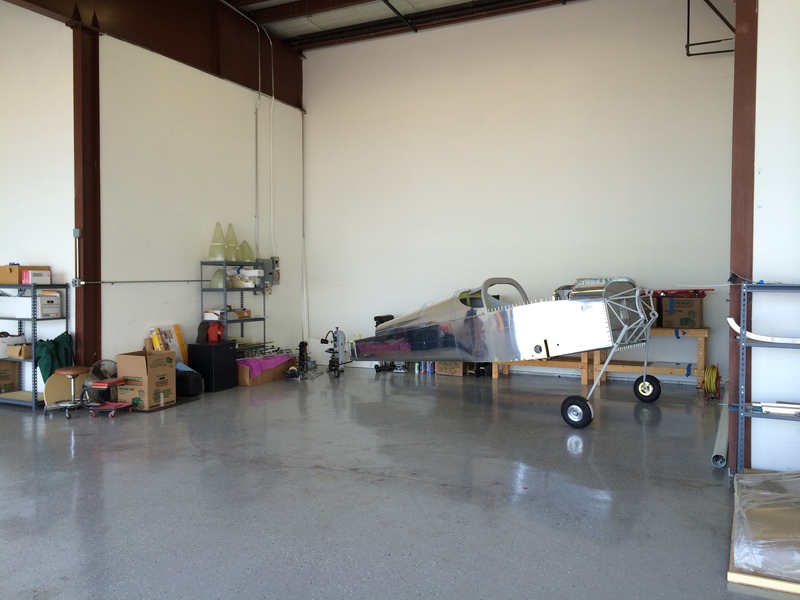 The fuse is a good fit, and I’ll have plenty of space to maneuver when the Archer is in the front of the hangar.